To fit Vauxhall Vivaro & Movano. BLACK GENUINE LEATHER GEAR GAITER SHIFT BOOT. This leather gaiter will improve the appearance making, your gear shift look like new again. 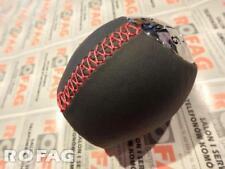 The gear knob and plastic surround is not included, you will receive only the leather part. MK4 Renault Clio Sill Protective Covers. Clean down sill with alcohol based cleaner for best result. Remove all dirt or anything that would stick to the 3m tape. 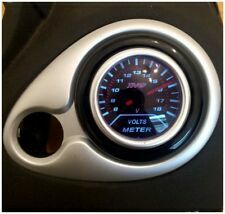 NEW Renault Clio MK3 Vent Gauge Holder. Gloss black Heater Vent conversion panel to fit a Renault Clio MK3 model and take a 52mm gauge (not included). Simply remove the original heater vent and place this panel behind the original bezel taking. RENAULT CLIO MK2 1998 - 2009. HIGH QUALITY GEAR GAITER COLOR BLACK. The plastic surrounds or the gear knob is not included. 100%REAL LEATHER BLACK. BLACK LEATHER WITH BLACK DOUBLE STITCHING. These are made from genuine Italian leather. RENAULT TRAFIC VAN 2001 - 2014. THIS COVER WILL FIT RENAULT TRAFIC VAN 2nd GENERATION. FROM 2001 - 2014. Model: Clio MK2 ( 1997 TO 2005 ). Top quality gear gaiter made from 100% genuine Italian leather. The plastic surrounds or the gear knob is not included. Make: Renault. Leather Colour: Black. Transmission: Manual. BLACK LEATHER GEAR GAITER SHIFT BOOT. This leather gaiter will improve the appearance making, your gear shift look like new again. RENAULT LAGUNA II 2001 - 2007. To fit Renault Kangoo II 2003 -. BLACK GENUINE LEATHER GEAR GAITER SHIFT BOOT. This leather gaiter will improve the appearance making, your gear shift look like new again. The gear knob and plastic surround is not included, you will receive only the leather part. Model: Clio MK2 ( 1997 TO 2005 ). Top quality gear gaiter made from 100% genuine Italian leather. The plastic surrounds or the gear knob is not included. Make: Renault. Leather Colour: Black. Stitching Colour: Red. Top quality Gear Gaiter Handbrake Gaiter. RENAULT LAGUNA MK2 2001 TO 2004. The plastic surrounds or the gear knob is not included. 5 or 6 speed Transmission Only. ade from 100% genuine Italian leather. THIS COVER WILL FIT RENAULT TWINGO II. RENAULT TWINGO 2007 - 2013. Motorcycle seat strap cover. HANDCRAFTED WITH TOP GRAIN LEATHER. BLACK GENUINE LEATHER GEAR SHIFT GAITER BOOT. This leather gaiter will improve the appearance making, your gear shift look like new again. 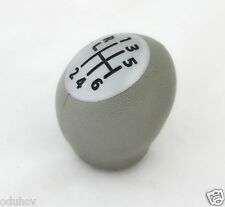 The gear knob and plastic surround is not included, you will receive only the leather part. RENAULT LAGUNA MK2 2005 TO 2007 FL DIESEL 6 SPEED. Black leather with grey stitching. And what you will receive is only the leather part. RENAULT LAGUNA MK2 2001 TO 2004 PETROL 6 SPEED. leather with stitching as titled. RENAULT KANGOO 2 MK2 2008-2014. And what you will receive is only the leather part. leather with black stitching. Model: Clio MK2 ( 1997 TO 2005 ). Top quality gear gaiter made from 100% genuine Italian leather. The plastic surrounds or the gear knob is not included. Make: Renault. Leather Colour: Black. Stitching Colour: Blue. 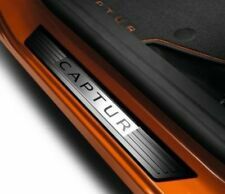 Genuine Renault Captur Boot Trunk Entry Guard Protector 8201341755 New! 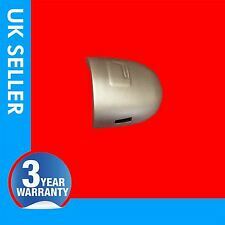 5 out of 5 stars - Genuine Renault Captur Boot Trunk Entry Guard Protector 8201341755 New! 7 product ratings7 product ratings - Genuine Renault Captur Boot Trunk Entry Guard Protector 8201341755 New! Renault 5 Gt Turbo Phase 1 2 Gutter Trims . Condition is Used. Collection in person only. RENAULT MASTER VAN 1997 - 2010. THIS COVER WILL FIT RENAULT MASTER VAN 2nd GENERATION. Motorcycle seat strap cover. PAIR OF SILL ENTRY GUARDS. PICTURE 1 SHOWS THEM SITTING ON THE SILL WITH BACKING STILL INTACT READY TO STICK. IDEAL FOR STOPPING SCUFFS TO THE TOP OF THE SILL FROM GETTING IN AND OUT. THIS COVER WILL FIT RENAULT MASTER VAN MK2FROM 1997-2010. RENAULT MASTER VAN 1997-2010. STANDARD VANGUARD. VERY HIGH QUALITY CUSTOM MADE FITS PERFECT LIKE A GLOVE HANDCRAFTED WITH TOP GRAIN LEATHER. 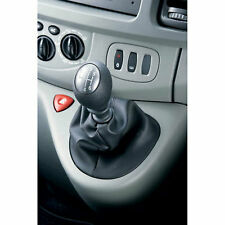 THIS COVER WILL FIT RENAULT CLIO MK2 FROM 1998 - 2012. RENAULT CLIO MK 2 II 1998 - 2012. BLACK PERFORATED LEATHER RED STITCHING RED STRAP. HANDCRAFTED WITH TOP GRAIN LEATHER. Motorcycle seat strap cover. THIS COVER WILL FIT RENAULT SCENIC MK1 FROM 1996 - 2003. RENAULT SCENIC MK1 1996 - 2003. Motorcycle seat strap cover. RANGE ROVER. VERY HIGH QUALITY CUSTOM MADE FITS PERFECT LIKE A GLOVE HANDCRAFTED WITH TOP GRAIN LEATHER. THIS COVER WILL FIT RENAULT SCENIC MK1 FROM 1996 - 2003. RENAULT SCENIC MK1 1996 - 2003. RANGE ROVER. VERY HIGH QUALITY CUSTOM MADE FITS PERFECT LIKE A GLOVE HANDCRAFTED WITH TOP GRAIN LEATHER. Motorcycle seat strap cover. 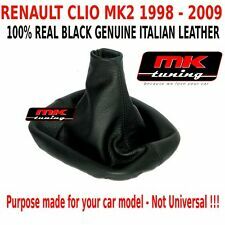 THIS COVER WILL FIT RENAULT CLIO II MK2 FROM 1998 - 2010. RENAULT CLIO II MK2 1998 - 2010. RANGE ROVER. VERY HIGH QUALITY CUSTOM MADE FITS PERFECT LIKE A GLOVE HANDCRAFTED WITH TOP GRAIN LEATHER. Motorcycle seat strap cover. RENAULT LAGUNA MK2 2001-2004 MODELS. And what you will receive is only the leather part. Black leather with red stitching. Easy to fit. It takes you about 50 mins. You need to put the cover on the steering wheel and sew it on. 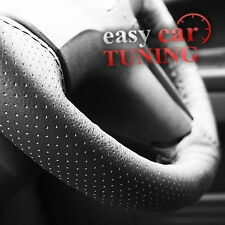 SELF ASSEMBLY BLACK REAL LEATHER CAR STEERING WHEEL COVER FROM ONE PIECE OF LEATHER WITH WHITE STITCHING. 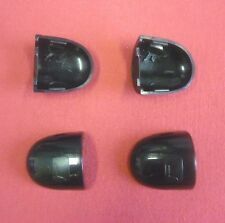 RENAULT CLIO,01 - 05,FACELIFT CHROME AIR VENT COVER'S. Set of two sills for right and left sides. the bottom of your vehicle's doors. With shift numbers from 1 to 6 and R. Silver colored cap with engraved black lettering. OEM replace. Easy to Fix. FITS RENAULT GRAND SCENIC 2009-2014 MANUAL MODELS ONLY. leather with red stitching. And what you will receive is only the leather part. RENAULT LAGUNA MK2 2001 TO 2006 PETROL. And what you will receive is only the leather part. black leather. THIS COVER WILL FIT RENAULT KANGOO 1st GENERATION. RENAULT KANGOO I 1997 - 2007. Motorcycle seat strap cover.